While this picture above contains a lot of my design favorites and it’s hard to choose between so many beautiful items, I am going to say that this FLOS 265 wall light is my favourite design item. Okay, top 3. Okay I don’t know where it stands in my top items, but it sure is one of my favorites. So I thought it was time for a new part of the category Design Classics! 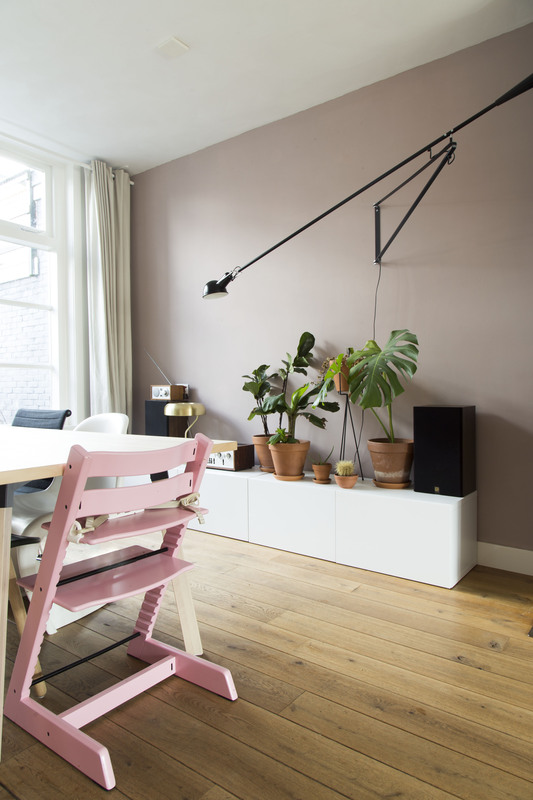 Part 1 is here and it’s about the Panthella floor light. So, the FLOS 265. Maybe you’ve seen it before, maybe not. For me it was love the very first moment I saw it, I think it was somewhere on Pinterest or Instagram. 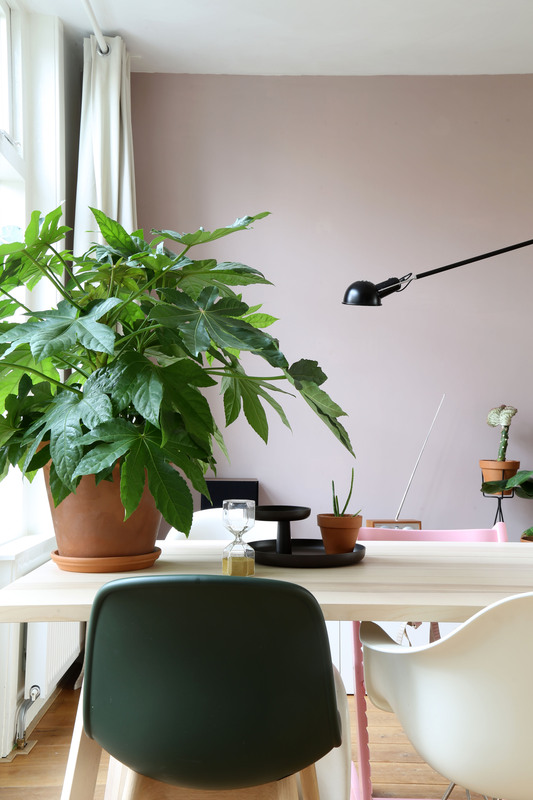 I am a huge lover of the interior blog of MUSTA OVI, and she has a 265 in her kitchen which you can see here. It just stands out in her home, as this light should. It’s big, to say the least. So I saw this light hanging in her kitchen and I thought to myself: one day it’s going to be mine. But it’s expensive so I knew it would take some years. Usually when I have my eye on a design item I want, I start putting money aside, sell some stuff to gather more money and slowly but steady work my way up to the amount of money I need. I have to say I am pretty good at saving when I have an item in mind. Usually, not so much (lol). But in this case I consider myself the luckiest wife in the world, because my husband bought it as a birthday present. Wow! I was pretty shocked when I got it, amazed that he bought it for me. I knew he loved this light himself, but it was quite the splurge. He actually bought it secondhand, a thing we do a lot since it usually means a bit of a lower price. So yes, best birthday present ever! If you would’ve asked me beforehand, I was certain we would hang this light above our couch. But when it arrived we tried several positions but it just didn’t work. I can’t tell you why, sometimes it’s just a feeling. And so, we tried it above our table and we loved it there immediately. 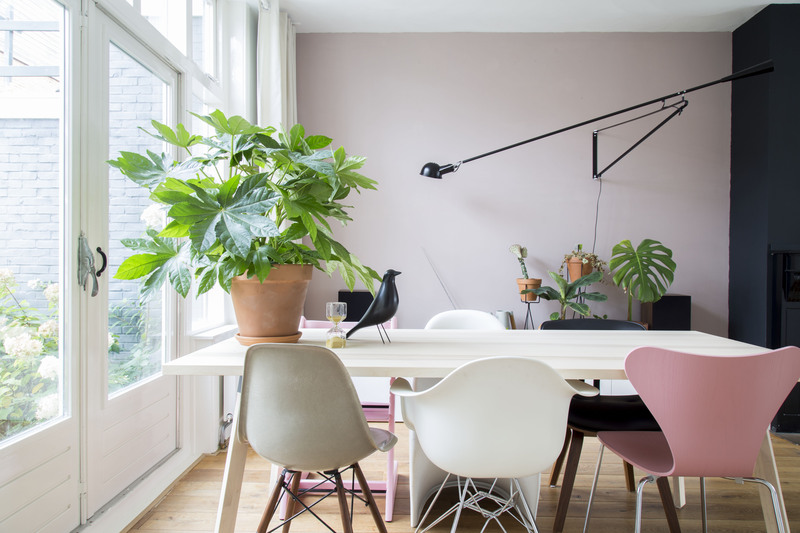 It did mean we had to remove the hanging light above our dining table, since it got a little too much together with the FLOS 265. And now I’m so happy we did it the way we did, because I just love all those clean lines together. The official FLOS Instagram page reposted this picture above, which obviously makes me pretty proud. Glad they liked it as well! Thank you for reading and I hope you liked reading more of the background story of this design classic. Keep an eye out on my blog for more to come because boy, do I have some great design classics coming :) Have a great day! PS. If you’re interested buying a FLOS 265 because this post made you so enthusiastic about it, you can find it HERE.